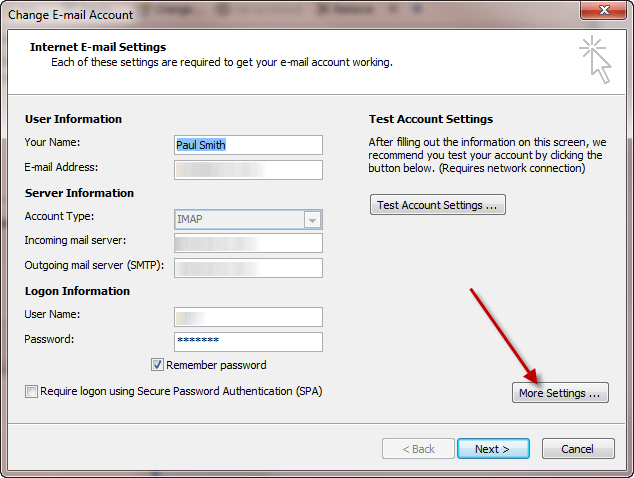 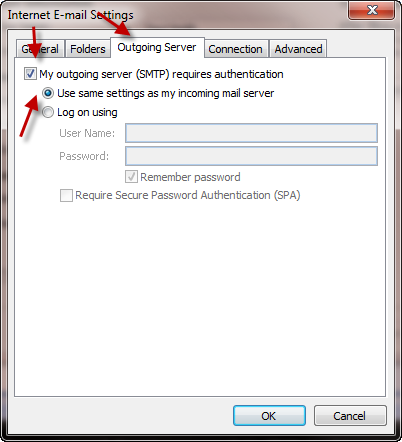 To set up SMTP authentication in Outlook 2007, if your VPOP3 requires it, go to Tools → Account Settings, select your email account and press Change…. 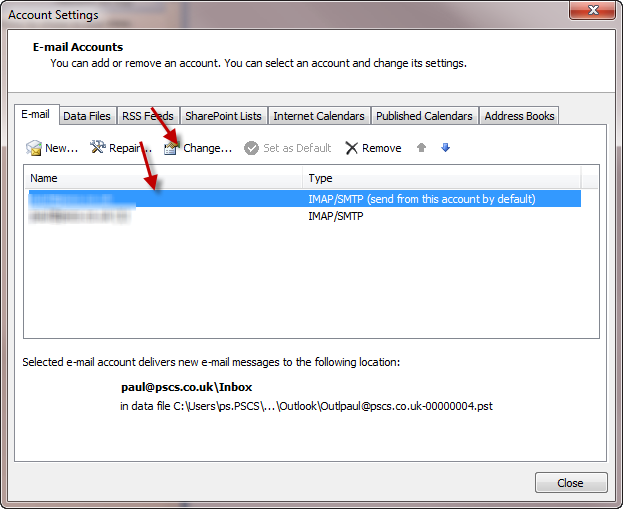 In the Connection tab you can customise the display name if you want to make it easier to recognise - so you could call it 'VPOP3' or 'Internal address book' or something. 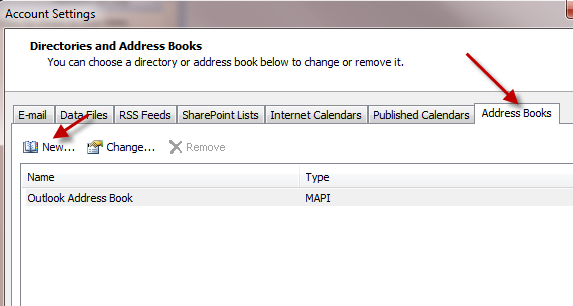 Also, you can set the Port if this has been changed in VPOP3. 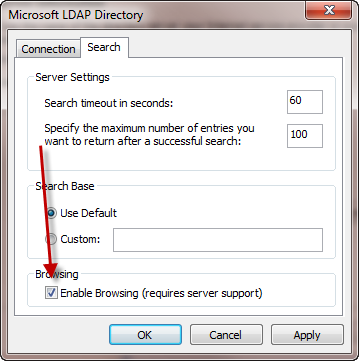 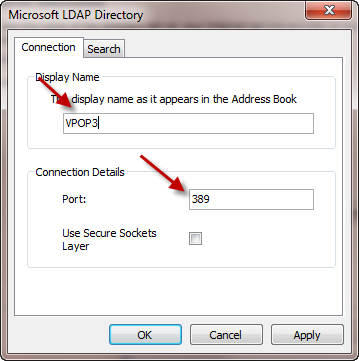 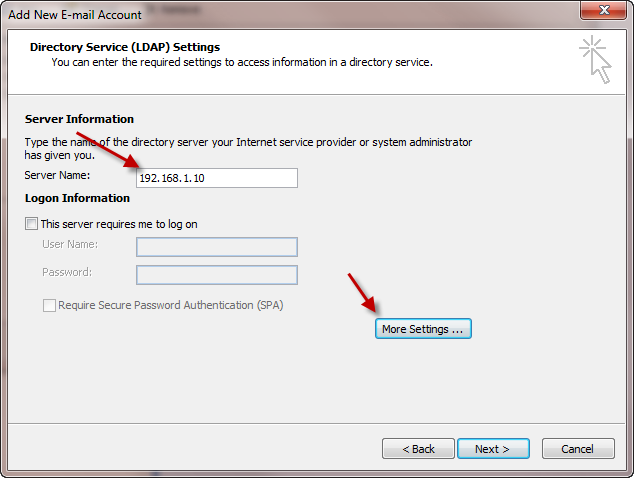 Usually VPOP3 uses the default of 389 but if you are running VPOP3 on an Active Directory controller, it may have been changed to 1389. 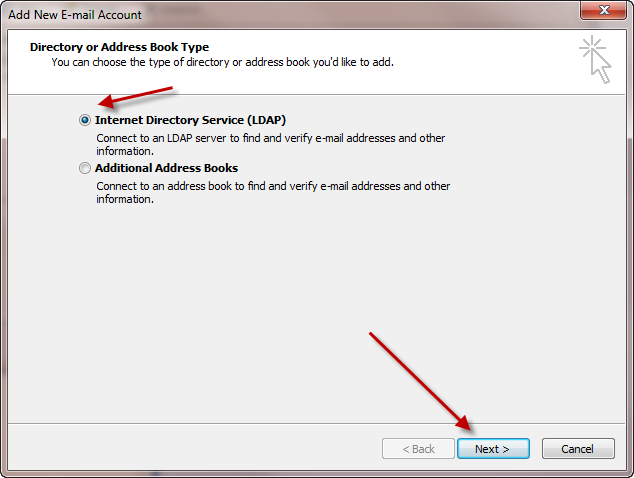 Now if you go to Tools → Address Book in Outlook, you will be able to choose to see and search for names in the new directory service. 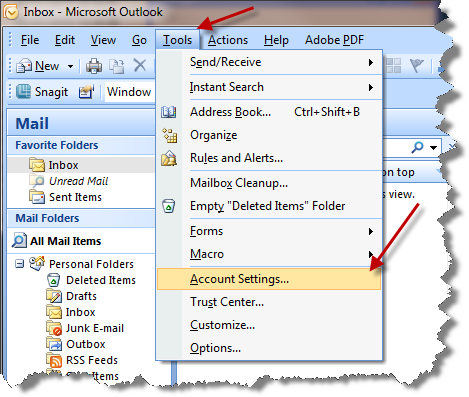 If you press Tools → Options in the address book in Outlook, you can tell Outlook to search for names in the various address lists as you are typing them when sending mail.